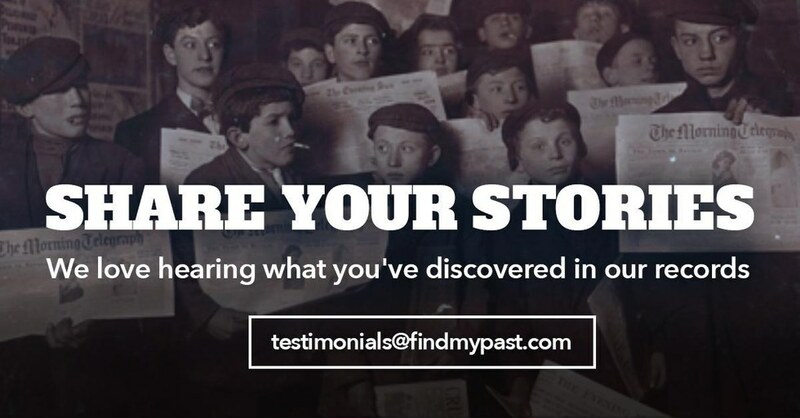 Usually, you'll never see the faces, expressions or characteristics of the ancestors you discover in our records. So when you do have an old family photo, keep it safe, scan it to preserve it digitally and why not share it proudly? After all, you're one of the lucky ones who actually knows what their distant forebears looked like. It turns out there are quite of few of you in the privileged position of having photos of your ancestors, as we found out when we asked you to share them on our Facebook and Twitter pages recently. On the left wearing a dark shawl is my great great grandmother Hannah Flint (nee Pointer) born 1845. She is visiting her eldest daughter and family ca 1910 Norfolk, England. Michelle didn't actually leave a comment explaining this one. We'll just let those massive bottles of grog do the talking... or are the men in the picture just incredibly small?! And one of the most stunning submissions came from professional photo-dating expert, Jayne Shrimpton. Wow! Thank you for all your fantastic photographs and keep them coming, it's great seeing them. Have Our Records Helped Solve a Family Mystery?